What is the difference between a Mazda Bongo and a Ford Freda? There is absolutely no difference between a Mazda Bongo and a Ford Freda apart from the name and badge. 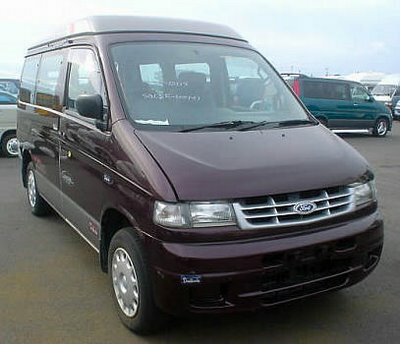 Mazda rebadged 8-seater Mazda Bongo Friendee MPV witha Ford badge and named it the Ford Freda. The Ford Motor Company own a stake in Mazda and this kind of excercise got their name out in the Japanese market.